Want this bundle + 105 More?! 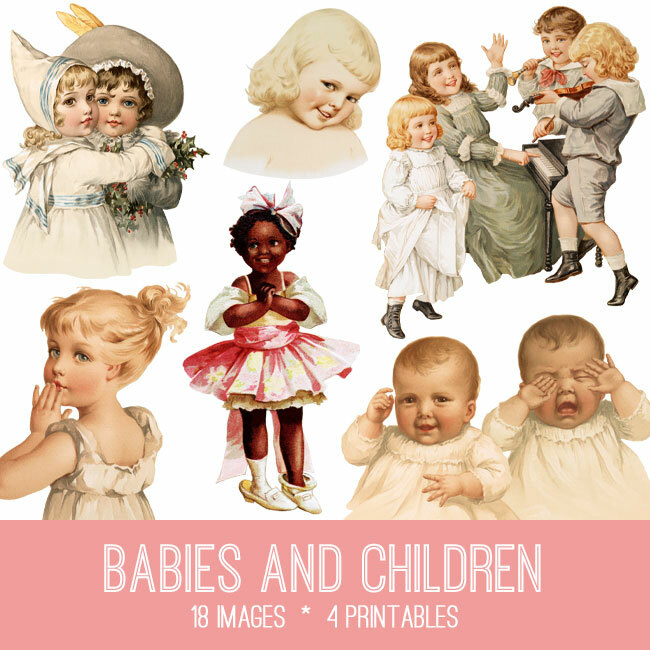 In this collection we are offering 18 Darling High Resolution Babies and Children Images! 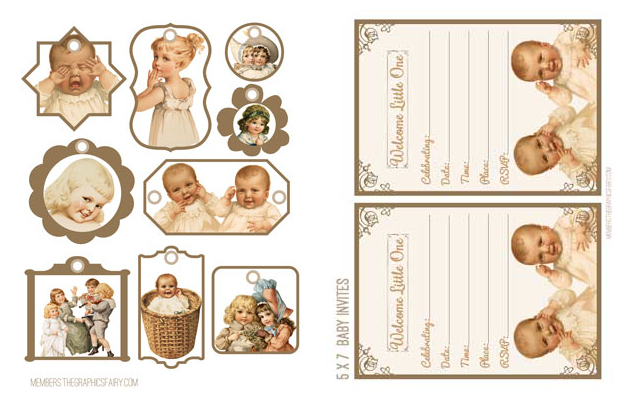 For those of you that prefer Print Ready options, we are offering 4 Adorable Printables, including Collage Sheets, Tags and Invitations! 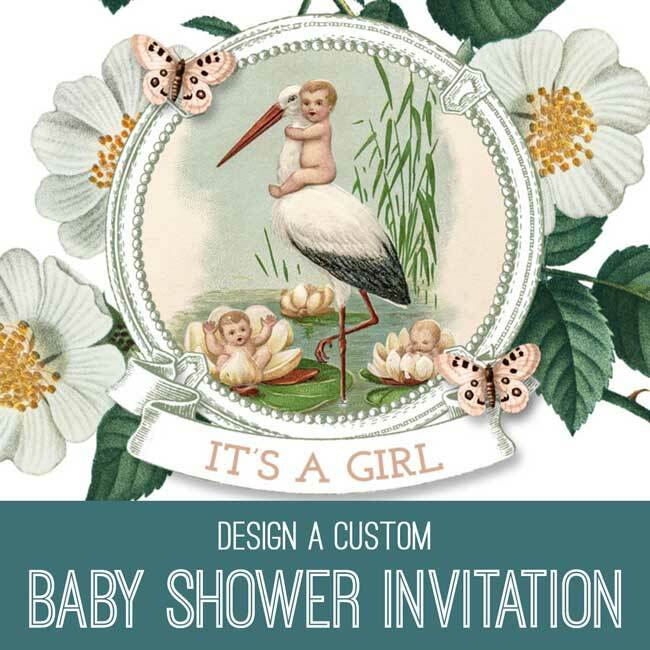 For our Photoshop Elements Tutorial this week, Anja is teaching us How to Design a custom Baby Shower Invitation! These are just 6 of the 100+ Kits that are included! And 70+ Amazing Photoshop Elements Tutorials, to teach you new skills for working with Vintage images in your art! That’s over 6300 files and 106 kits!!! Artistic Landscapes Image Kit! 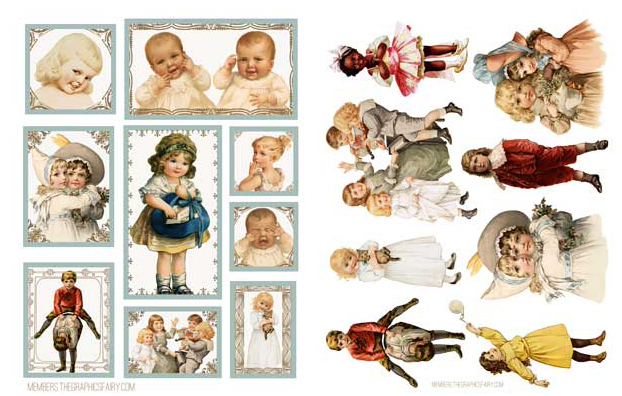 Graphics Fairy Premium Membership Edwardian Fashion Catalog Image Kit! 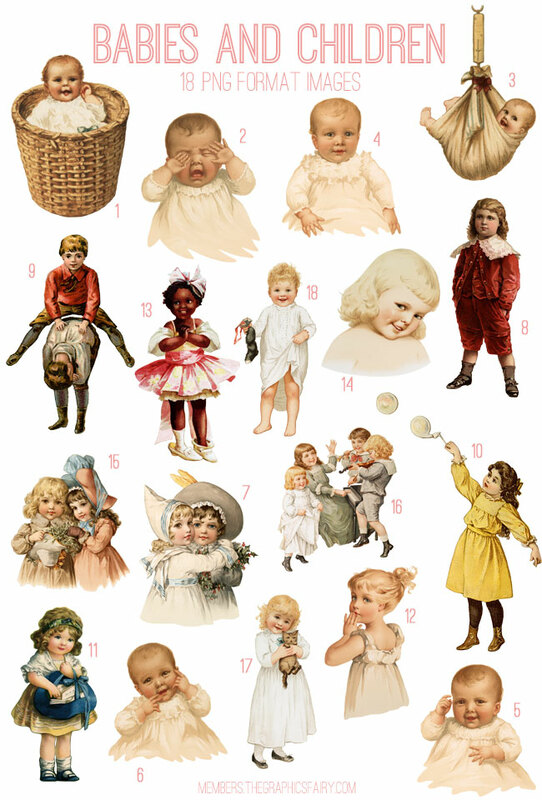 Graphics Fairy Premium Membership 12 Vintage Children with Easter Egg Pictures! I have registered before – why does a person have to register again? You do not need to register again. Can you explain to me what you are experiencing so that I can further assist you? Thanks so much!